Shepard Smith, the endlessly endearing (and easily angered) Fox News anchor, has likened the right-wing channel to a “family,” with president Roger Ailes as its domineering father. Which makes it only slightly awkward that in early 2012, the 49-year-old anchor started courting an attractive young production assistant who worked under him on Fox Report With Shepard Smith. Now they are a couple. 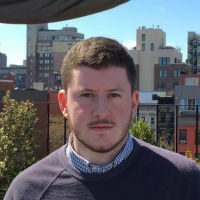 Gawker has learned that Smith is dating a 26-year-old Penn State grad and Fox Business producer named Giovanni “Gio” Graziano. According to multiple sources with knowledge of their relationship, the couple met sometime after Graziano started working at Fox Report in October 2011 as a production assistant. He’s the man with whom Smith frequents Bathtub Gin. “Yes, that’s Shepard’s boyfriend,” Katya Minskova, the Bathtub Gin waitress Smith berated in March, confirmed to Gawker when shown a photo of Graziano. Another source who had seen them together at the Chelsea speakeasy confirmed Graziano’s identity as well. Both sources say they saw Graziano and Smith together at the bar on multiple occasions, and that they appeared to be romantically involved. While Smith and Graziano’s boss Roger Ailes, a notorious homophobe, was apparently kept in the dark about the relationship—“higher ups had no idea,” a source close to Graziano said—the pair doesn’t appear to have gone to great lengths to keep the workplace romance from their co-workers. “The people who know the most are [Graziano’s] former coworkers from Fox,” one source told Gawker. 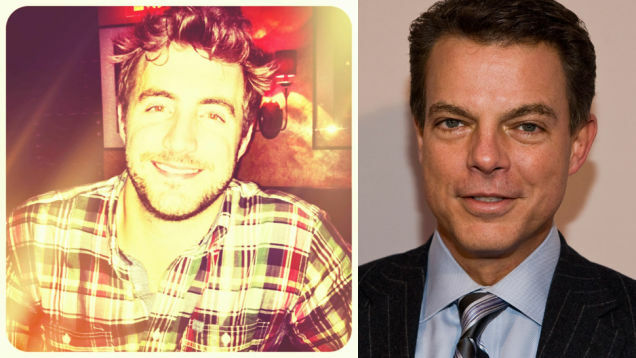 “One of the production assistants even saw him getting into Shep’s limo one night earlier this year around 8 p.m. outside Fox, after Shep’s show was over,” the source added. Indeed, away from Fox, Smith and Graziano appeared together throughout Manhattan, showing up at fratty bars like the Ainsworth in Chelsea and the Village Pourhouse on 3rd Avenue, to watch football when Penn State or Ole Miss (Smith’s alma mater) were playing. Still, Smith was concerned about the optics of dating a subordinate. Last year, according to a former Fox News employee, the anchor arranged for Graziano’s transfer, in October 2012, to Fox Business Network, where he was installed as an associate producer for Varney & Co. “Shep had to move him to Fox Business to avoid a ‘conflict of interest,’” the former employee, who asked not be named, explained. Graziano does not have a landline at Fox, and is not listed in Fox Business’s employee directory, according to a telephone operator at the channel who spoke with Gawker yesterday. However two email addresses associated with Graziano, at the domains of Fox News and Fox Business, remain active. Graziano has not returned multiple emails sent to three different email addresses, a LinkedIn message, five text messages, and three voicemails left on his cell phone. Nor were we able to find him at his last known address, a penthouse suite of an East Village condominium. The building’s doorman said that Graziano moved out “a month and a half ago,” but did not know where he moved. (According to public records, the suite sold for $1,125,000 in mid-September.) Voicemails left with more than a dozen family members and former co-workers went unreturned as well. Graziano appears to be aware of our attempts to contact him. Not long after we reached out, a 5 minute long reporter reel that he uploaded to YouTube last year, featuring him delivering news reports throughout Manhattan and on the stage sets of America’s News Headquarters and On the Record with Greta van Susteren, was removed from the internet. The video was available on Thursday morning, but was made private a few hours later. This would not be the first time a prominent Fox anchor has sought the attention (wanted or otherwise) of an underling. In 2005, an O’Reilly Report producer named Andrea Mackris revealed that Bill O’Reilly urged her, in one of several telephone conversations, to pleasure herself using a loofah. Neither Shepard Smith nor Fox News responded to multiple emails, two voicemails, and a faxed letter requesting comment.